Populism (2017) investigates one of the political buzzwords of our age, which is often encountered in the media and thrown around by political opponents. 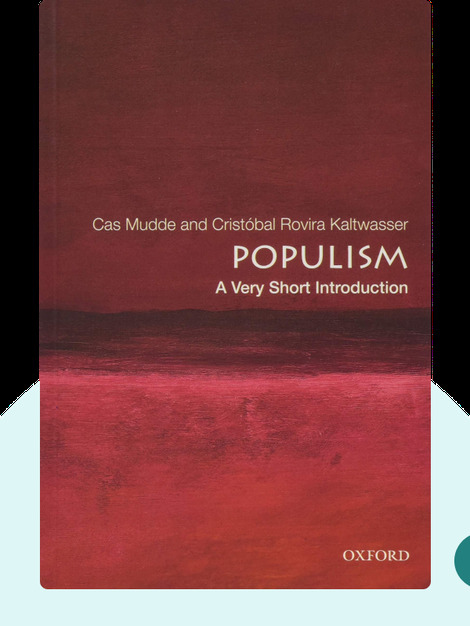 Populist leaders attempt to mobilize the frustrations of the masses by claiming to speak for “the people.” By placing blame for social and economic problems on a supposed “elite,” populists attempt to gain political success. Cas Mudde is a Dutch political scientist and Stanley Wade Shelton UGAF Professor at the University of Georgia. He is also the cofounder of the European Consortium for Political Research’s Standing Group on Extremism & Democracy. Other titles he’s authored include Populist Radical Right Parties in Europe and Racist Extremism in Central and Eastern Europe. Cristóbal Rovira Kaltwasser is an associate professor at the School of Political Science of the Diego Portales University in Chile. 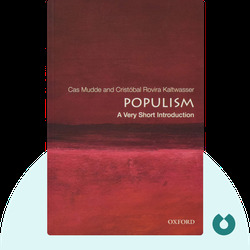 His main areas of research are comparative politics and the relationship between populism and democracy.